What comes to mind when you hear “Pluto?” Chances are it’s either the once-planet or Disney’s well-known best friend of Mickey Mouse. Oddly enough, Pluto the Shepherd mix seems to have a little something in common with both namesakes. Much like the once-planet, at only 50 lbs, Pluto is not quite large enough to qualify for his breed type. This guy is just a little shy of the weight of some of his larger purebred cousins, which makes him an excellent dog for those who want the shepherd breed qualities, without the shepherd breed size! 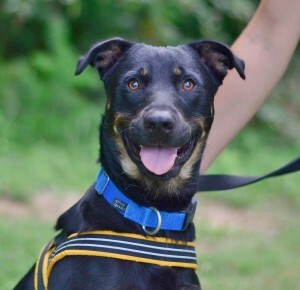 And much like Pluto the cartoon dog, our beautiful black and tan Pluto just wants to be someones best friend. Pluto loves people and is happiest when he’s with someone. He has exceptional leash manners and is very well-behaved when it’s time for a walk. At one-year-old, he’s passed the larger part of his puppyhood, but still has some overflowing exuberance. So Pluto’s perfect family would be one willing to give him that extra bit of attention and to help him finish learning puppy manners. Pluto also loves other dogs and would fit right in to a new family’s “pack.” Hurry and come meet Pluto today and see why this guy is your new best friend in waiting. 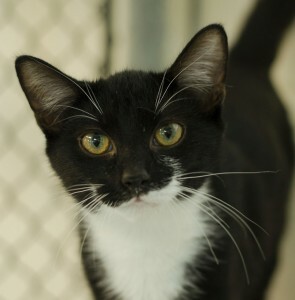 Found as a stray kitten in August, sweet and curious Piper has determined to take finding her new home into her “own paws.” Whenever the door to her kennel is opened, Piper parades out and starts socializing with any person or pet she sees along the way. Never pushy, she quietly asks for cuddles and love and is never cross when scooped up and placed back inside her shelter cage. Though she acts rather grown up for a kitten of six months, she still has a goofy side! She loves toys and absolutely loves to explore. Piper gets along with other cats and people of all ages. Her quiet presence would be the perfect addition to any house. So don’t wait! Meet and pet on Piper today and let her work her charms on you!